These rings are a Perfect Christmas Gift for your Lovely Lady at an affordable price. SHENZHEN, China - Sept. 11, 2013 - PRLog -- Promise couple rings are a best way to express love for your partner and show appreciation of the relationship. These rings are given to loved ones to signify the commitment of a monogamous relationship and often serve as the precursor to the engagement rings. These rings also serve the way to communicate the love you share with your partner and it represents the day you both became one. Also people purchase promise rings as a commitment to themselves that they will achieve specific goal, so this ring remind them not to divert from their aim. Gullei.com (http://www.gullei.com/) is an online store founded in mid of 2010 with an aim to sell unique custom engraved couple's jewelry including couple's rings, customized couple's necklaces, matching bracelets and many more couple gifts ideas. 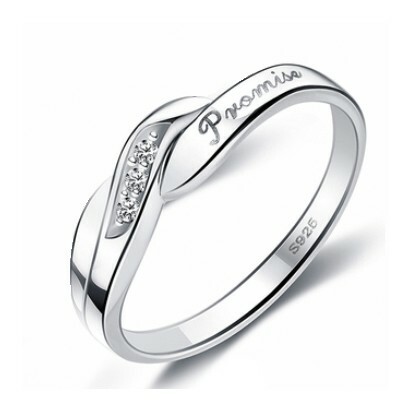 Gullei.com is now introducing personalized promise rings for girls, these rings can be customized with names, dates and heart symbol. Gullei.com offers laser engraving service which is an advanced technique for quick engraving on jewelry items. Hand Engraving that many other jewellers offer is always time consuming which increases order processing time as well as have more chances of typo mistakes during engraving and quality will definitely be worse.